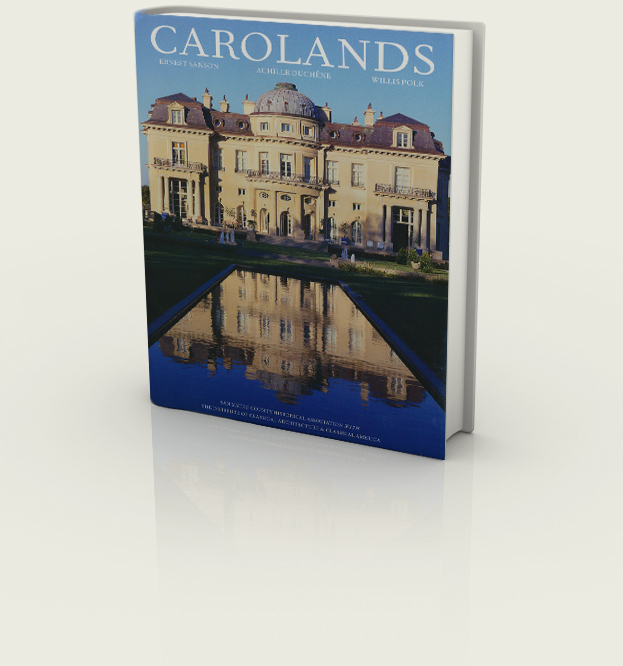 Architectural historian Michael Middleton Dwyer discusses Carolands’ place among the great houses of the day - such as Biltmore, Harbor Hill, Lynnewood, and Vizcaya - and then explores the history of how Sanson, Duchêne, and Polk came to be commissioned to build this magnificent house for the heiress. Dwyer’s essay gives a rich historical background for the magnificent color portfolio of specially commissioned photographs showing the house and gardens today, which have been meticulously restored. Martin Lane Fox, former Vice-Chairman of the Royal Horticultural Society and Chairman of its Horticultural Board, was asked to redesign the gardens, and the legendary Mario Buatta undertook the interior decoration. An outstanding feature of the book is the reproduction of original draws and plans by Sanson, Duchêne, and Polk, all specially photographed for the book, original letters among the three on the design and construction of Carolands, and archival photographs of the interiors and furnishings. Superbly designed and produced, with more than 250 color photographs, 200 duotones, and five double gatefolds of drawings, this book is an exemplary record of a great house.